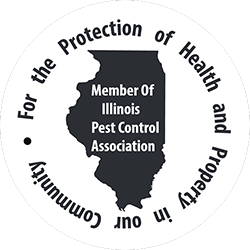 As members of the Illinois Pest Control Association, we provide inspection and property services concerning wood destroying insects on behalf of sellers of real estate in Illinois to buyers, mortgage lenders, and government insurers. Environ inspectors have all participated in the wood destroying inspection accreditation program. Environ has a commitment to professionalism and proficiency in the reporting of wood destroying insect inspections of homes and other structures. What is a wood destroying insect inspection? This visual inspection is performed on readily accessible areas including basements, crawl spaces, and attic areas, which are prone to wood destroying insects. All leading institutions accept our WDI certificate. Why choose Environ Pest Elimination? This means when working with an Environ inspector, you’ve chosen someone with experience who has taken the time and made the commitment to become highly knowledgeable in the process of wood destroying insect inspection and reporting. Every year thousands of homes are attacked by termites or other wood destroying insects. Home buyers need to know if these pests are present before investing money. Is the inspection for termites only? No! The subterranean termite is the #1 wood destroying pest in the U.S., hence its name is often attached to the so called “Termite Report”. What happens if wood destroying insect damage is observed? Damage is an alarming term. It may be superficial or quite extensive. Damage is evidence of infestation, but evidence may not include damage. When damage is found, Environ will recommend and may propose an appropriate treatment, including a qualified building contractor.